I'm glad they pulled the item from stores and website. That red around the cutout for the mouth had to be intentional, intentionally racist. I see this and I wonder how someone could see the same thing and decide, "Nope, there's nothing wrong with that!" I have an all black ski mask, is that racist? My glasses do get steamed up when I wear it, though. Why don't they make it another color, like yellow or red or brown or whitish? 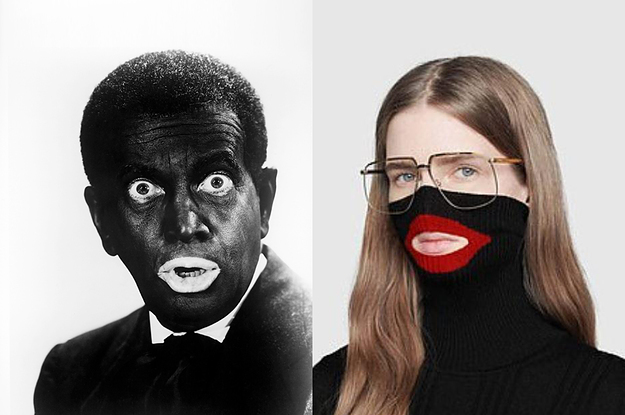 An all-black ski mask does not resemble a very old, very offensive racist caricature. Recent instances of blackface — from Virginia’s Gov. Ralph Northam to Gucci’s fashion choices — only reinforce the unfailing consistency of American anti-black racism. Many many examples of racism. Whatever happened to the black guy and white guy arrested for drug dealing, where the black guy faced 15 years and the white guy 3 years in prison for the exact same deal? Have they been sentenced? I read a review of McCabe's book that said Jeff Sessions spouted racial epithets as Atty. General. That's completely inappropriate for the top law enforcement person. Our neighbor's experience in Florida with the guy kicking in the restaurant door and brandishing his loaded assault rifle and yelling that epithet, that's blatant racism. Yet blacks are required to take it, to not fight back. You're right, that article is right. Blackface and racism never left, but the racism is more overt, more blatant now. It starts at the top, the White House. ...racism is more overt, more blatant now.